Anyone that works from suspended scaffolds. The course begins in the classroom for approximately 4 hours of instruction and concludes with a 30-question multiple choice review. After a lunch break the class reconvenes for a hands-on session where students have an opportunity to see a motor in operation. The motor and its emergency systems are tested and demonstrated to the students. Students who wish to are encouraged to operate the motor themselves. 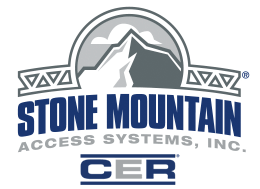 Students who complete the course receive a record of training card from Stone Mountain Access Systems. This card is valid for 4 years. Class sizes typically range from 1 to 50 with the optimal size being about 20. The time for the course extends with larger classes due to increased discussion time.